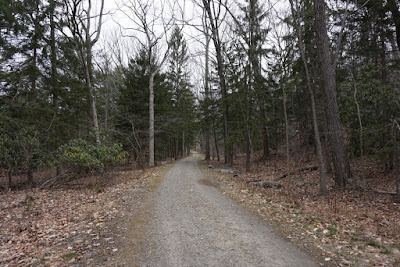 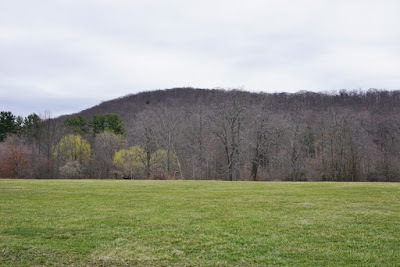 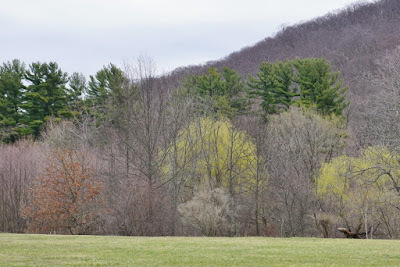 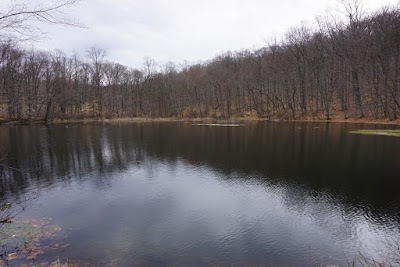 Once I was out exploring the Ramapo Mountains in New Jersey the past several weeks, I decided to further explore by Ringwood and go towards the Ramapo Valley County Reservation, and meet up at Bear Swamp Lake, where I had been in the previous weeks. 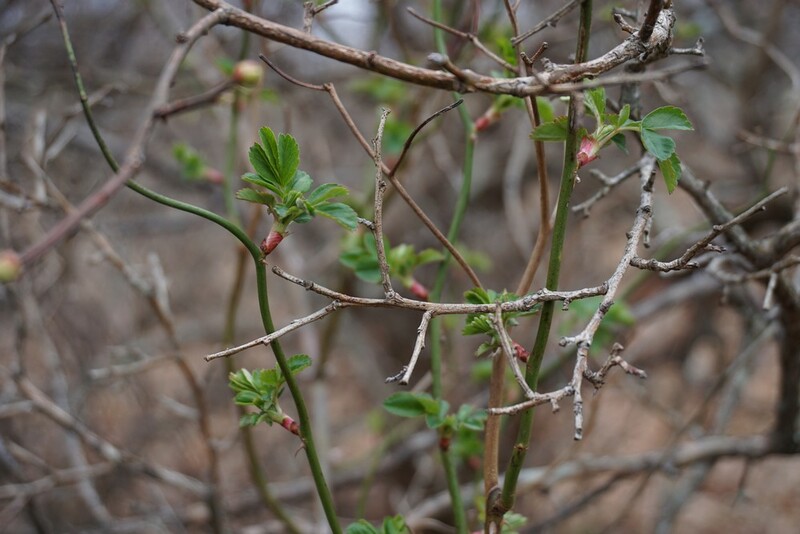 The weather was colder than usual and quite chilly for this time of year in general. 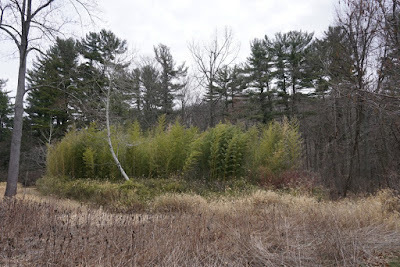 I parked in the Ringwood Parking area (Pb on the map) and walked up across the meadow by Swan Pond. 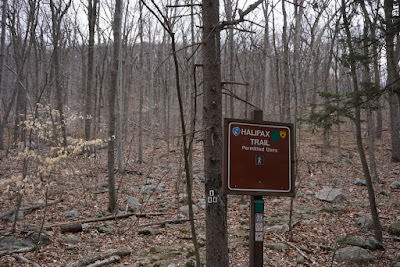 I took the Crossover Trail briefly to the Halifax Trail terminus, and snaked up Mt. 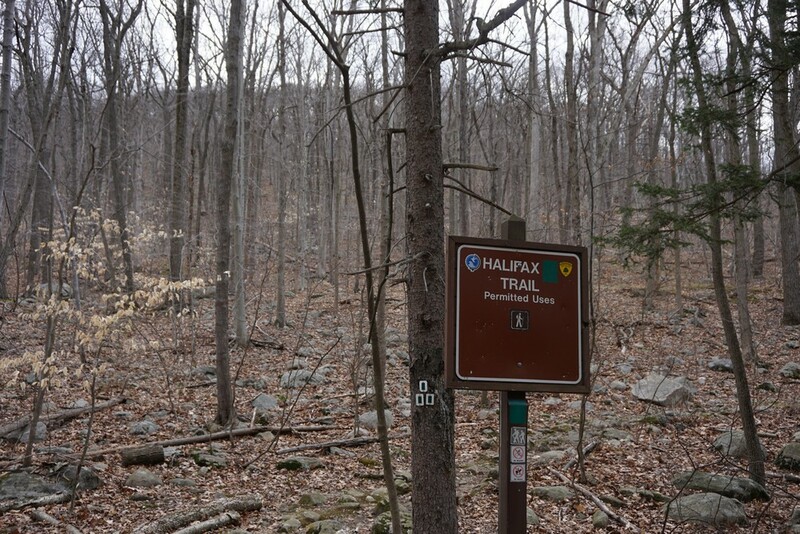 Defiance on the Halifax Trail towards the view. 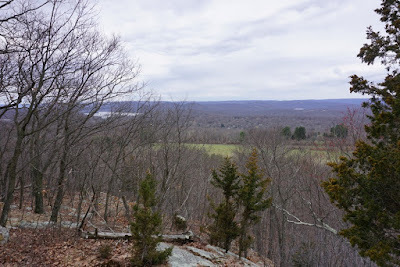 I then continued down the mountain into the valley, passing the Glassmere Ponds, and then climbing up the next ridge towards the Power Lines and Pierson Ridge Trails. I continued along the Halifax Trail until it went down to the Bear Swamp Valley. 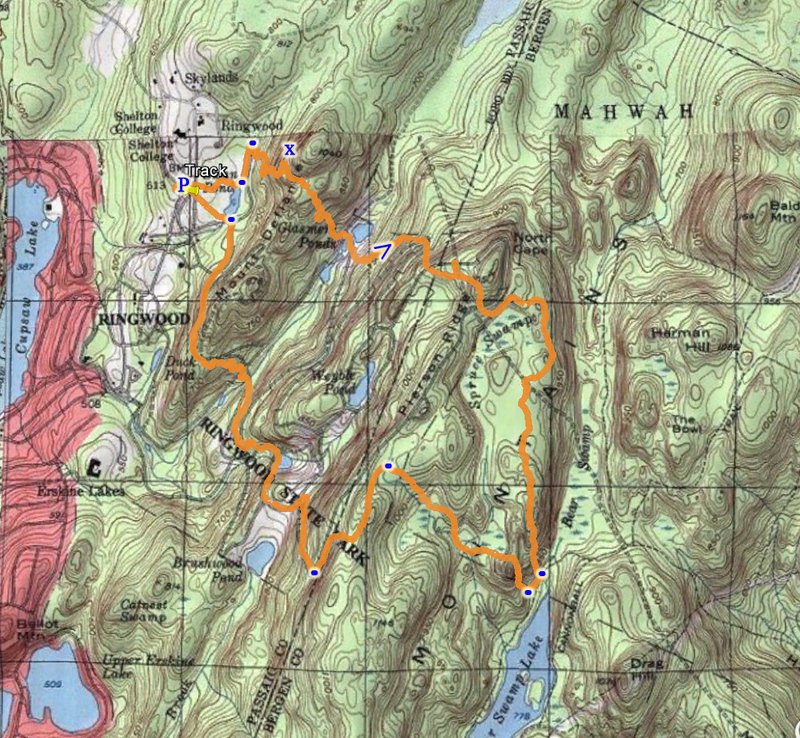 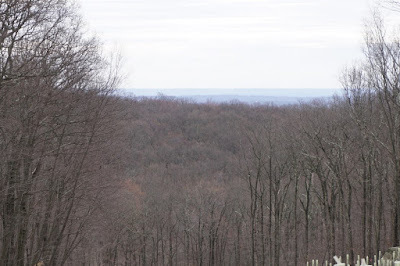 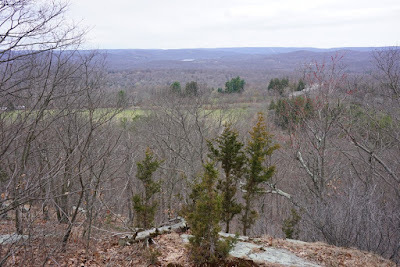 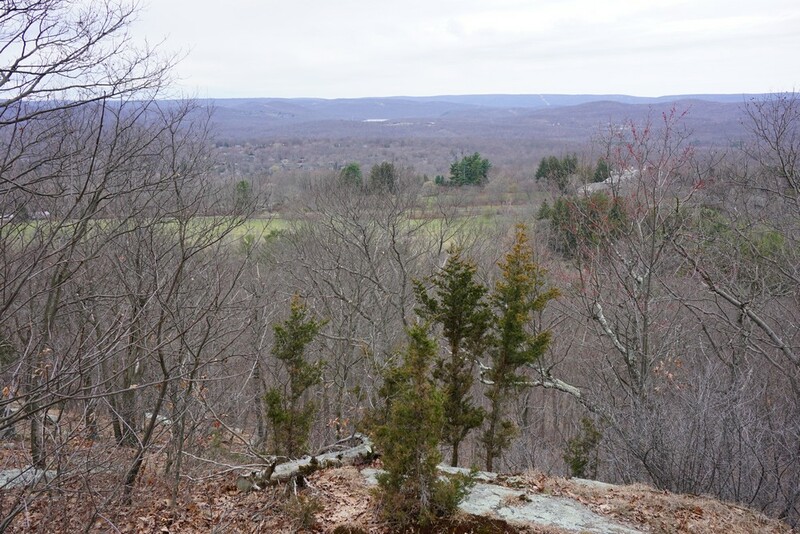 I then took the Shore Trail briefly to the Bear Swamp Trail (not marked on the 2014 map edition, but marked at the Ramapo Valley County Reservation trailhead parking kiosk) and climbed back up the ridge, until the Pierson Ridge Trail. 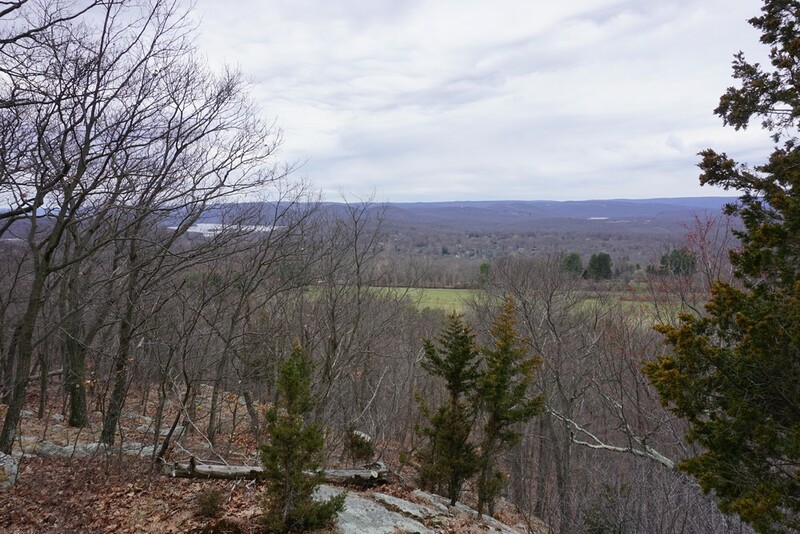 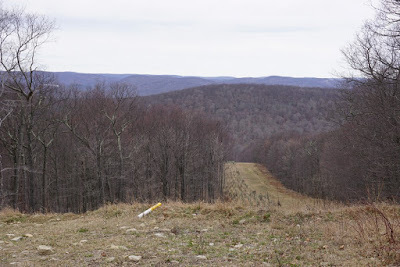 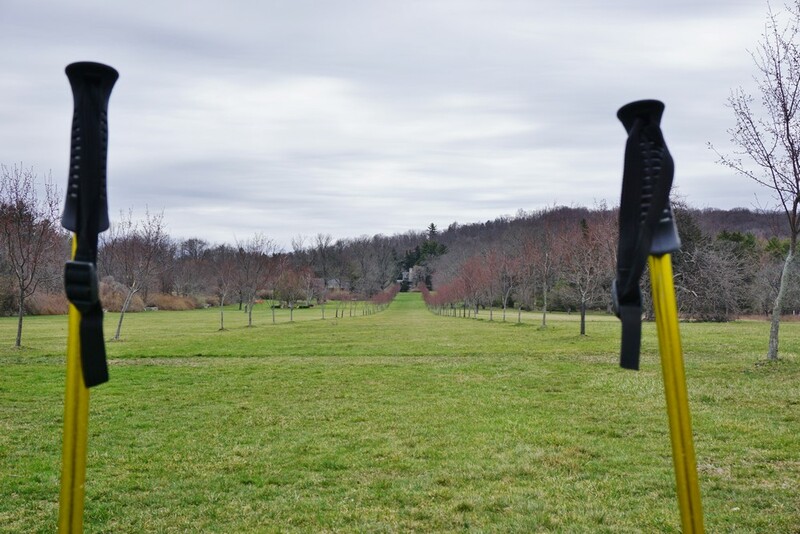 I took the Pierson Ridge Trail southward till its end at the Crossover Trail, and then took the Crossover Trail all the way back to the main are of Ringwood and then back to the car.